For cyclists and mountain bikers there is something for everyone, with beautiful trails both on and off road. We have a store room for bikes if you are bringing your own, and they can be hired at Whinlatter Forest. For those looking for a more relaxing break, the local towns of Keswick and Cockermouth offer plenty to while away a summer afternoon, followed by a swim in the pool and a fireside drink in the bar. Below you will find a selection of places and activities. If you would like to find out more please give us a call and we’ll be happy to assist you. A map of local walks is available here. The hotel is situated between Keswick and Cockermouth, both are just 10 minutes drive away. Keswick is a bustling Lakeland town, with market days on Thursdays and Saturdays. Nestled on the shores of Derwent Water and the gateway to beautiful Borrowdale, its a must-do on your visit to the Lakes. Cockermouth is a historic Cumbrian town, not least for being the birthplace of the poet William Wordsworth whose house is now a National Trust visitors center. It was severely damaged in the floods of 2009 with the majority of Main Street being refurbished following the disaster. Its now a lovely town with a range of shops, cafes and restaurants. The Lake District Wildlife Park can be found less than 10 minutes from Embleton Spa Hotel. It is set in 24 acres of land and boasts over 100 species of animals. As well as the animals themselves, there are also a outdoor play area, picnic area, indoor soft play and cafe on site. Whinlatter is England’s only true mountain forest and is the venue for a range of local activities. 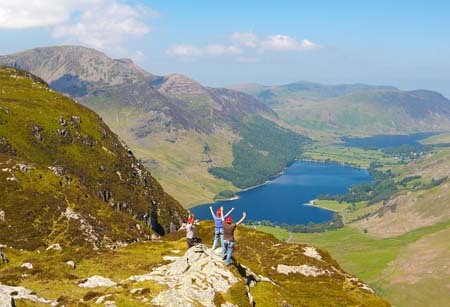 It is home to many species of Lakeland wildlife including Red Squirrels and Roe Deer. 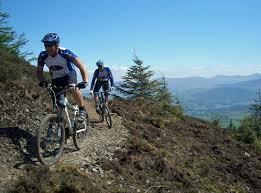 Whinlatter is well known for it’s mountain bike trails which are the longest purpose build trails in the Lake District. Bikes can be hired from Cyclewise, the onsite centre ( 017687 78711). The trails are graded in difficulty. If you are bringing your own bikes we have storage available at the hotel. Whilatter Forest is also an excellent place for walking, boasting views across Bassenthwaite, Derwent and Keswick. A range of trails are clearly marked out and are graded easy to moderate. Some of the trails are suitable for wheelchair users and pushchairs. Parking at Whinlatter is charged and you will need coin change for this. With amazing scenery everywhere you turn, there are miles and miles of great routes both on and off road. The local bike shops offer bike hire and sales, and will direct you in the right direction. Keswick Bikes is a well established shop in Keswick, with very friendly and helpful staff. Cyclewise at Whinlatter is in the heart of Whinlatter forest. There are a range of great mountain bike tracts right from their door. Consisting of nine different play areas that are split by around 600m of trails, the Wildplay areas are free for children to explore. There are also two walking trails aimed specifically at children; details of these can be found on the above website. If you’ve never heard of Go Ape have a look at the website for more details. There are two locations in the Lake district; one in Whilatter Forest and another in Grizedale Forest near Hawkshead. They both offer the treetop adventure but you can also have a go at touring the forest on Segways at Grizedale. 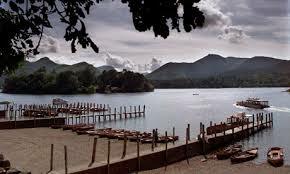 A tour around Derwent Water is a great way to spend a day. The launches start their journey from the Keswick boat landings and cruise around the lake stopping at seven lakeshore jetties where you may embark or join the various boats. 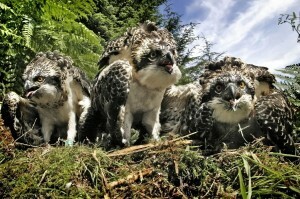 For over thirteen years there have been breeding Ospreys on the shores of Bassenthwaite. There is an Osprey Exhibition Centre at Whinlatter Visitor Centre near Keswick which is open from 10am until 5pm during the active nesting season (usually April until August). At the exhibition you will findinformation about the project and a large viewing screen with a live camera feed from the nest of the Ospreys. There are two viewpoints at Dodd Wood (see below), from which the Ospreys can be seen coming and going from their nest, as well as catching fish from Bassenthwaite. These viewpoints are seasonal so please check the project website for up to date information. Dodd wood is located on the Eastern shore of Bassenthwaite Lake and is managed by the Forestry Commission. There are three marked walking trails of varying lengths which take you through some lovely woodland with multiple view points over the Lake and beyond. The route to the Osprey viewing platform is clearly marked on the map in the car park (pay and display – coins only). There are also The Old Sawmill Tearooms situated in the car park. re are also children’s play areas, a heather path maze and a family nature trail. The house has a number of literary connections with names such as Tennyson and Wordsworth. The Kirkgate Centre in Cockermouth is a fantastic local venue for films, theatre, comedy, music and exhibitions. It is situated near the centre of the local town, less than 4 miles from our hotel. The website details all current events and showings. 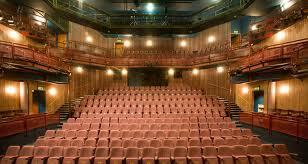 Tickets can be booked online or via the box office. This lovely Georgian town house is just 5 minutes down the road in Cockermouth. 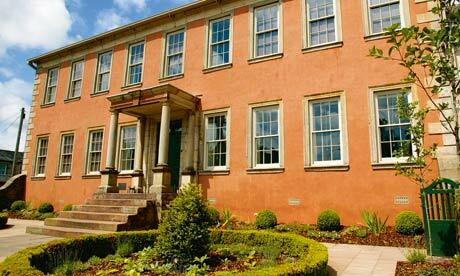 It was the birthplace and childhood home of romantic poet William and his sister Dorothy. Presented as their bustling family home and peopled by knowledgeable 21st-century guides and, on selected dates, costumed servants, it offers an unforgettable chance for all ages to see, smell, hear, touch and even taste what it was like to live in the 1770s. 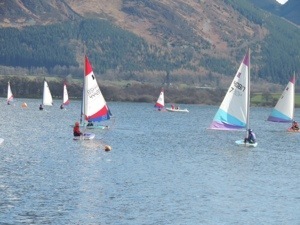 The sailing club is just 1 mile from the hotel on the shores of Bassenthwaite Lake. They are an active club with reglar events and race meets. We are a proud sponsor of their annual ‘Bass Week’ regatta which takes place each August. For enquiries call 017687 76341 or email mailbox@bassenthwaite-sc.org.uk. Nichol End Marina – 15% off boat hire! Located in a naturally sheltered harbour at the Northern end of Derwentwater, Nicol End offer a wide range of activities on and off the water. 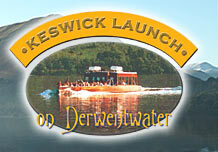 What better way to explore Derwent Water than on the water! The offer tuition and hire of sailing dinghies, canoes, boats and windsurfers as well as activities for groups such as raft building. When you are staying at the hotel please ask for a discount card to get 15% boat hire. For personalised fly fishing experiences from a fully qualified professional fly fishing guide and tutor in an area of outstanding beauty in the UK. Locations include the famous River Eden, its tributaries and lakes of the English Lake District. Geoff Johnston is an experienced angler having fished the local rivers and lakes for many years. He offers expert tuition, whether its your first time or you are looking to build on your knowledge and skill. Pick up and drop off at the hotel is available by arrangement. The slate mine is well worth a visit. Entry to the visitor centre is free, and for those brave enough the Via Ferrata (climbing up the rock with harnesses) makes for an adrenaline filled day!